Southwest Portland extends from Burnside Street in the heart of downtown Portland, through the campus of Portland State University and up into the West Hills. 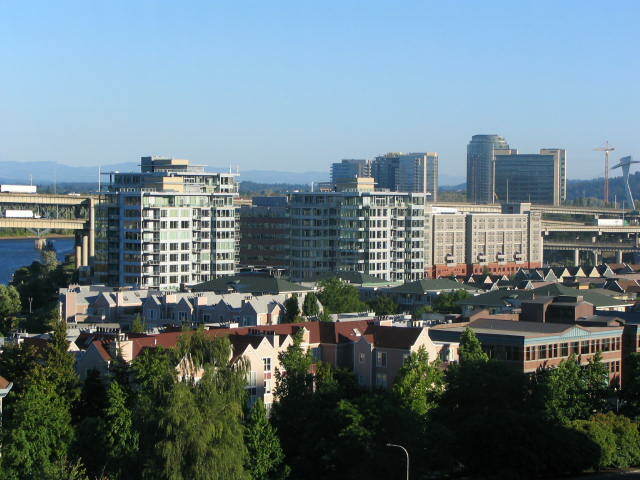 In contrast to the flat, grid setup that comprises much of the east side of Portland, Southwest is nestled in the foothills of the city, offering gorgeous views of the city and surrounding areas. Even by Portland standards, Southwest has a lush variety of trees and wildlife littered throughout the area with over 100 miles of walkable trails and countless parks to enjoy. Barbur Boulevard and Beaverton-Hillsdale Highway are the main arteries that lead from downtown through much of the Southwest area. A variety of public and private schools, community centers, and businesses and much more all reside in the Southwest Portland area. To the south lies Lake Oswego and West Linn, while to the west is Beaverton, Tigard, and Aloha. There are multiple neighborhoods in Southwest Portland. These include but are not limited to Arnold Creek, Arlington Heights, Ashcreek, Bridlemile, Campus, Collins View, Corbett-Terwilliger-Lair Hill, Crestwood, Far Southwest, Forest Heights, Hayhurst, Hillsdale, Homestead, John’s Landing, Maplewood, Markham, Marshall Park, Multnomah Village, Skyline, South Burlingame, South Waterfront, Sylvan-Highlands, and West Portland Park. Multiple Farmers’ Markets take place throughout Southwest Portland, including near Rieke Elementary and the popular Saturday Market held downtown. Multnomah Days celebrates the local community in Multnomah Village every year and has attractions for people of all ages. And of course Southwest’s Campus area offers an array of events throughout the year, with everything from music, to lectures, to flash mobs for those adventurous enough. Elementary Schools: Bridlemile, Hayhurst, Capitol Hill, Maplewood, Markham, Mary Rieke.